This is a simple art of calligraphy which is inspired by that of Joseph Anduaga teaching on 1780 Arte de escribir por reglas y sin Muestras… book in Madrid. Josep Patau has done great justice to Anduaga font by not defeating the simplicity created by the originator. 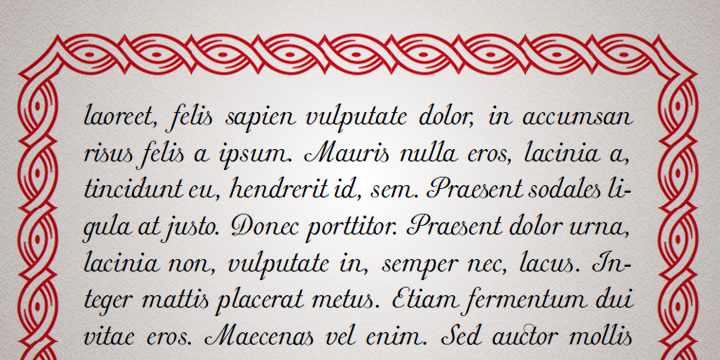 This joining writing looks beautiful, comforting and give elegance to the text written. Joseph Anduaga proposed rules that broke the limitations models present at his time. It also uses figures as ornaments from Spanish editions.